Click Here. Double your traffic. Get Vendio Gallery - Now FREE! 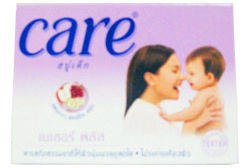 Description: Care Baby Nature Plus Soap Mild and hypo-allergenic tested. Ingredients: Sodium palmate/Sodium Palm Kernelate or Sodium Cocoate/Water/Palmitic acid/Glycerin/Fragrance/Titanium Dioxide Size: 80 g. Condition: Brand New Condition: New Shipping Handling: - We ship worldwide within 1 - 5 days once payment is cleared. - Delivery to most countries is 10 - 21 days. But sometimes can take up to 30 days or more for delivery. - Combine shipping discount is available for multiple quantities. Payment: We accept paypal only. Credit cards are accepted through paypal. Feedback: We strive to provide the best customer service. If you are happy with your purchase, please leave us a feedback with 5 stars ratings. We will do the same for you. 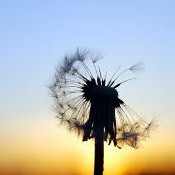 However, for whatever reason you are not satisfied with your purchase, please give us a chance to correct any problems. We promise to try our best to help you. Powered by Turbo Lister The free listing tool. List your items fast and easy and manage your active items.